Intel intends to keep up with Nvidia and AMD on the AI market by releasing the Nervana NNP for deep learning applications. The new NNP is actually an ASIC with a non-standard cache hierarchy controlled directly by software commands, and it comes with improved scalability. The Flexpoint numerical format allows for increased parallelism, while the deep learning training performance is expected to increase by 100x until 2020. The sudden rise of interest for the artificial intelligence market prompted Intel to get on par with what Nvidia and AMD are doing for driver-less cars and the AI segment. The latest Neural Network Processor (NNP) from Intel is actually an ASIC (application specific integrated circuit) developed by Nervana before the acquisition of the company in 2016. Back then, Nervana was trying to get the most out of the ASIC’s for machine learning training, and the Intel acquisition sped up the process. • Different memory architecture that includes no standard cache hierarchy, while the on-chip memory is managed directly from software instructions for improved management and faster Deep Learning training time. • More efficient scalability – high speed on- and off-chip interconnects allow for massive bi-directional data transfers. Multiple chips can act as a larger virtual chip through efficient neural network parallelism. • New numerical format called Flexpoint - allows scalar computations to be implemented as fixed-point multiplications and additions while allowing for large dynamic range using a shared exponent. This leads to increased parallelism with decreased power per computation. • Projected 100x increase in deep learning training performance by 2020. 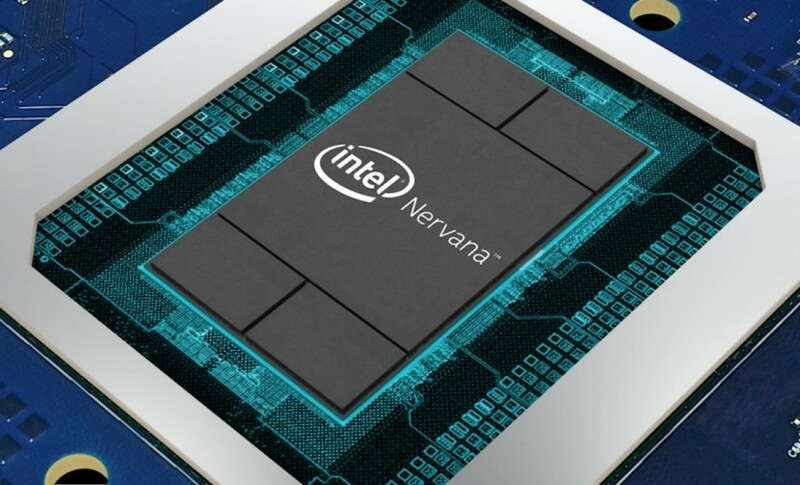 The Nervana NNP will be available by the end of 2017 and Intel is expecting to reach US$46 billion revenue from the AI market by 2021.